Fishing, cooking, travel, languages, shooting. Omg too funny for words. Hey guys , I have now built and tweeked with the help of a few GITS,10 mini type events. A jeep race through obstacles on to roads through a town to an airshow. A 2 part C47 accurate cargo drop mission through mountain passes, in bad weather, landing on a short makeshift runway. ( This event appears twice, one in rain and lightning, one in snow and I could use input as to which works best ) A fighter VS AI fighter dogfight using the BF109 G6 Late against various other fighter aircraft. A "Comet" ME 163 bomber intercept event. A base defence event. Using grounded,entrenched bomber gun positions defend an airbase against attacking troops, vehicles and aircraft. A multi engined dogfight using the P38L against other types of AI multi engined aircraft. A mountain pass race using the LA5 with a difference. You can earn extra points landing, finishing, shooting balloons and by flying over small hidden objects. A single engine VS AI multi engined event using the P47. A ground attack event using the IL2 M3. Any imput on aircraft types, conditions, time of year or day would be helpful.Some are one life events, some unlimited using refuel, rearm etc... After each event the points are added and posted so you know where you are. Some events allow for large scores so the leaderboard can change rapidly. I never meant this to be serious and built it as just a fun point hoarding Comp.This is not to find the best pilot, I just thought it would be nice to meet once a year and remember BG whilst having some fun. Every event obviously favours a good pilot but the worst pilot could still win this and that was my aim. Maybe a setup like that will encourage more to have a go. Once completely tested and tweeked we can see if there is enough interest. I think Roger said he has the data base of DD members so a PM could go out inviting them even though they are not active right now. Maybe it might nudge them to come and have a look. Of course it might all fizzle out and get no interest from anyone but thats OK I like building stuff anyway so I wont cry....much. In the vault under missions is a folder called BG Competition. In it is a mission folder to be dropped in RC4 dogfights. If any of you get anyone would like to try them out please help yourself and let me know any suggestions you might have. I have several designs for a cup but am still looking for ideas in that direction also. Painless has already volunteered as a judge/committee member and of course anyone else who wants to get involved in this way just holla. "DINO"
For anyone building missions this might be interesting. I was testing the competition events last night with the help of Squawk ( thanks for the time mate ) and he pointed out that object 1207 is a boat dock that has the name BG in large letters. I will be adding that as an object in all my missions frrom now on, thanks again Squaw k.
Still not sure if there will be any interest in this as an event but I have built 9 of the 10 mini events to use or choose from They are ready for testing anytime I can get a or some Gits. Jeep obstacle and road race. Bad weather C47 mountain cargo flight. Multi engined dogfight. Single engined dogfight. Mountain pass La7 race with hidden objects and shooting targets. Fighter intercept of multi engined aircraft. Groundpounding. Comet high level intercept. Base defence using gun positions of aircraft against ground and air targets. I have formulated a points scoring system for each event that rewards skill but made them so that novices can still have fun. I am still working on other ideas but keep any ideas you have coming. Looking at these I could adapt these to run as coops and dogfights in V11? Anyone interested in giving these a try just let me know. "DINO". I am not sure if this is Swedish or what it means. But sometimes translation is real easy. 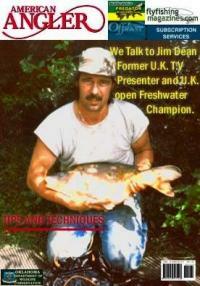 Lol I was the chairman of Florida for the American Carp Club. I love catching this fish on light line but not the species found in the video.I fish for the common, leather, mirror carp, they grow 60LB plus and fight for ever. Those are grass carp introduced legally into thousands of waters in the USA by guess who?...bass anglers . The idea was to keep down the weed as that is what they eat and the weed was causing fish kills. Instead of running a pilot scheme and listening to advise as to the type to stock they were just dumped in and left. In Florida at the large bass lakes they had a novel way of dealing with the problem. They opened the gates and let them into the river system and now they are everywhere.The USA government were advised right at the outset to stock with triploid carp as they are sterile and would die out naturally within 10-12 years, they were also advised to stock about 10 fish per acre. We can all guess what happened next right??? I love shooting and fishing but I have had this rule of never killing anything I dont eat. I am not sure what the answer would be to get rid of them but I am sure littering the river with dead and damaged fish isnt it. Sorry guys I guess we just have a different idea of what fun is l.
All great ideas guys. I have built 6 already over the past 4 months and they are ready for testing as soon as I get some idiots...er.... Great Intelligent Testers or GITS for short to join me and try them out. Any volunteers to get a few guys together and run the GITS for me? Of course if it looks an event that might work I guess Roger can send an invite out to all Dogz registered. If we get a large response I thought running just each part repeatedly until all had completed and then putting up a running scoresheet would work best but I am open to all discussions. Of course I would be grateful for any names of guys wishing to form a think tank....wait a minute...Dogz...think tank....scratch that..... a huddle... to look at ideas. Do you want to head that a get some guys together? I realise JO and other groups run exercises etc but what I am building would allow any skill level to participate but still give an edge is some of the events to the more experienced guys. I already like that Swep...The Blaigowrie Annual Memorial Cup ??? Keep the thoughts coming guys. "DINO"
Seriously how on earth would you pick a winner? it would be one of those awards where 50 people all share it by scoring zero. Bombing our own tanks sounds great but I was kinda thinking we would do something to what we already do. The events I have already built were on the Caucasus which I chose because its a really nice map with mountains, sea, trains , nice towns and ports. Perhaps we can test these sometime and see if they are liked? Please check the new BG Memorial post in Jims place when you get time. Hi guys, in case anyone has my latest coop mission pack. I have today replaced the pack in the vault with a reworked batch. Same name but I have reworked them deleting some ground objects and moving AI. This should make them easier to host on weaker machines. Also most importantly as in real life you only have one life,one aircraft but you will be able to land,refuel,rearm and repair as the situation requires. Yes I noticed the waypoints meant a longish flight so I have just altered them on my copy of this mission. Easy fix...hope you enjoy the others and thanks for the comments as they are really helpful. "DINO"